We investigate the role of legitimacy in setting organizational goals as a way to address the potential “dark,” unethical side of organizational goal setting. Coupling qualitative and quantitative research methods to better understand legitimacy in goal setting, we first induce novel hypotheses based on observed practice and then provide survey evidence to test the performance implications. Study 1 reports findings based on interviews with twenty-two company executives. We identify attention to goal credibility, prioritization of stakeholders directly involved in the goal’s attainment when setting goals, and communication openness regarding goals, as well as their combination, as being important to organizational performance outcomes. Study 2 determines whether these three practices and their interaction predict performance using a survey conducted with 522 companies across four countries. Among other findings, we contribute to the organizational goal setting literature by showing that higher organizational performance is associated with the amount of priority given to the key actors (typically employees) directly involved with the goal’s attainment. 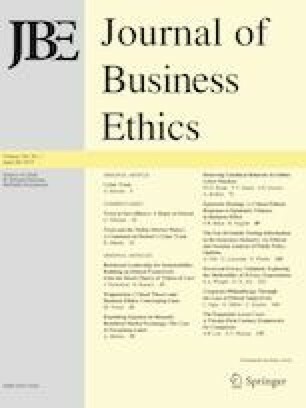 We also find a positive interaction between attention to goal credibility, key actor (employee) importance, and communication openness on financial performance and non-financial goal attainment. Our work takes an initial step toward understanding how organizations can better shape the legitimacy of organizational goals for improved organizational performance and reduced unethical behavior. We thank Editor R. Edward Freeman and two anonymous reviewers for their helpful comments and guidance. The first-named author’s contribution to this work was funded through the support of the Australian Research Council (Award DE130100840). How are your strategic goals and KPIs (key performance indicators) determined? What factors (inputs) guide the choice of KPIs and strategic goals? As the organization sets its goals, what is the level of consideration about what others may think (others can include shareholders, customers, and employees)? What other actions does the organization take to improve goal achievement (for example, do you use any special communication processes)? What aspects about setting goals are most important in achieving higher performance?